A Proven Winner! 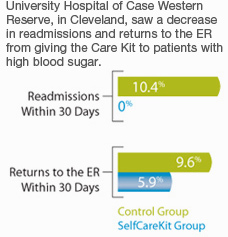 At one teaching hospital, Care Kit users had 90% fewer readmissions than a group who attended diabetic education classes alone. “I finally get it!” said one user. “I had library books and listened to others, but only after I read this kit’s Short Story did I understand how blood sugar works. With a Care Kit, no one has to run for a dictionary.” They don’t run looking for tools either. 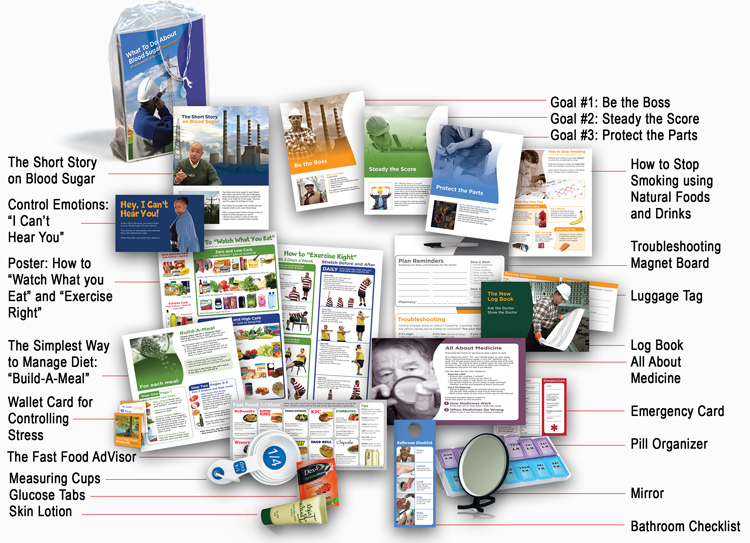 This kit has all the essential tools and ties them into 1 plan with 3 goals.